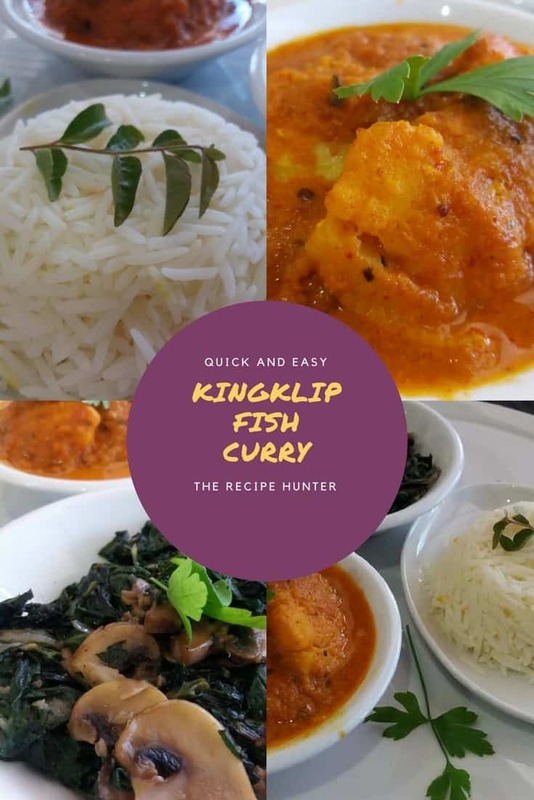 I am sure you want Kingklip Fish Curry!! Put the curry leaves and cook until onions are transparent. Put in the fish, bring to boil then cook on medium heat for 15 min. Serve with creamy basmati rice and stirfried spinach and mushroom.